Specially designed shield and lens work together (lenses sold separately, see the link to lens product page below). 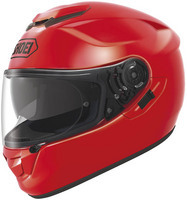 Use With: These sun visors will work with Shoei GT-Air, J-Cruise and Neotec helmets. You can replace the sun visor in your helmet if it gets scratched or blemished.